The newly rebranded macOS comes with a host of new features, not the least of which being integration with Apple's Siri virtual assistant. Previously restricted to iOS devices, Siri on Mac is expected to shift the paradigm of voice control on desktop with support for messaging, file and web searches, Notifications, system status and much more. Other enhancements include a new file system built for modern computer equipment, rich Messages, Photos app buffs, Apple Pay for the web and auto unlock via Apple Watch, among numerous under the hood improvements. Apple earlier today published a similar compatibility list for iOS 10, the next-generation mobile operating system set to debut this fall. As it stands, iOS 10 can run on hardware powered by second revision A5 system-on-chip silicon, which for iPhone means iPhone 5 and newer. For iPad, Apple is extending support to A5X and newer devices, starting with iPad 2. 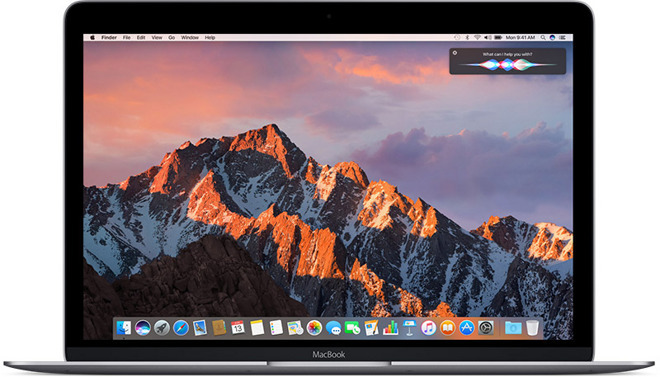 Developers can download both macOS Sierra and iOS 10 today, while a public beta is due for release in July.